Gateway streamlines radio frequency bandwidth. Optical Receivers suit narrowband applications. Signal Beacons come with protective housings. 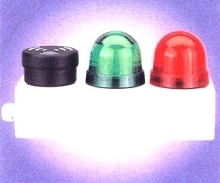 WERMA Signaltechnik Series 815 beacons and Series 109 and 110 audible elements have single-, double-, and triple- element, surface-mount housings that provide protection rating of IP 65. Housings are suitable for use as closed, portable units or as fixed wall-mounted units. Quick-mount capability of housing makes for rapid interchanging of components, allowing for variety of possible combinations. Receiver Core is targeted for programmable logic devices. Incremental Encoders provide positioning accuracy. 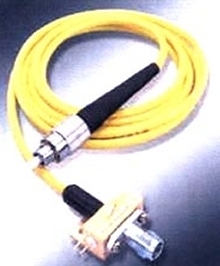 Encoders offer hollow hub for ease of installation. 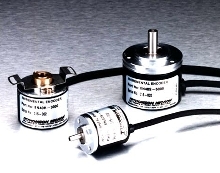 Absolute Encoder operates at speeds to 6,000 rpm. Single turn Absolute Series Accu-Coder Model 926 is available in variety of bore sizes in both blind hollow and thru-bore versions. It has thin, 1.38 in. profile, flexible mounting system, industrial grade integral bearings and digital signal that makes it suited for applications where presence of electrical noise is high. Network Processor plugs into OEM equipment. Portal links PCs and IP phones. MyPingtel Web-based portal creates first peer-to-peer relationships between IP phones and PCs to allow users to manage and operate intelligent IP phones from personal computers. Users can install new phone app by clicking links, setup and manage speed dial numbers, dial phone numbers from their Web browser, modify phone functions, and access product guides and online forums. Panel Meter accepts 4-20 mA sensor inputs.